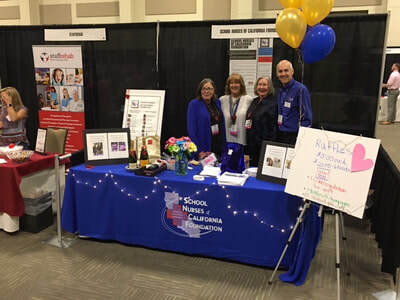 Board Members welcoming school nurses to SNOCF's Booth at the CSNO Annual Conference in Monterey, CA (Feb. 14-17, 2019). Bottom row sitting: Marilyn Alexander, Kathy Hundemer. 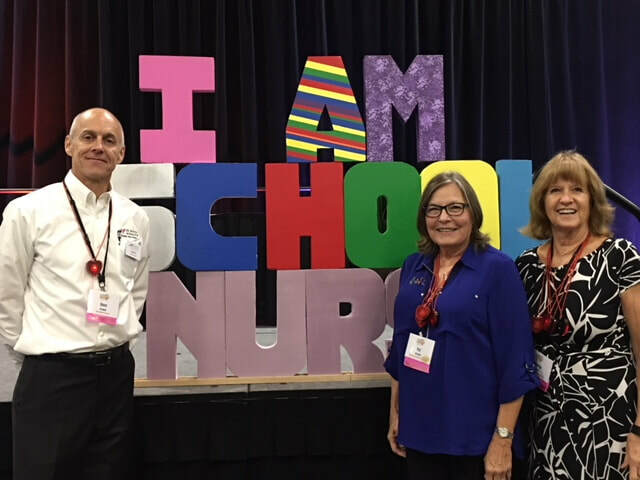 Standing from left to right: Nancy Dames, Dr. George Monteverdi, MD, Sharyn Turner, Dave Cranny, Nancy Miller, Dr. Eden Donahue, DNP, and Diane Durando. Board Members Pat Christie, Sharyn Turner and Katy Waugh setting up the booth for the CSNO 2017 Annual Conference in Monterey, CA (March 16-19, 2017). Dave Cranny, Board Member, announcing a $5000 award to CSNO for education and training. Link to Dave's speech on March 18. 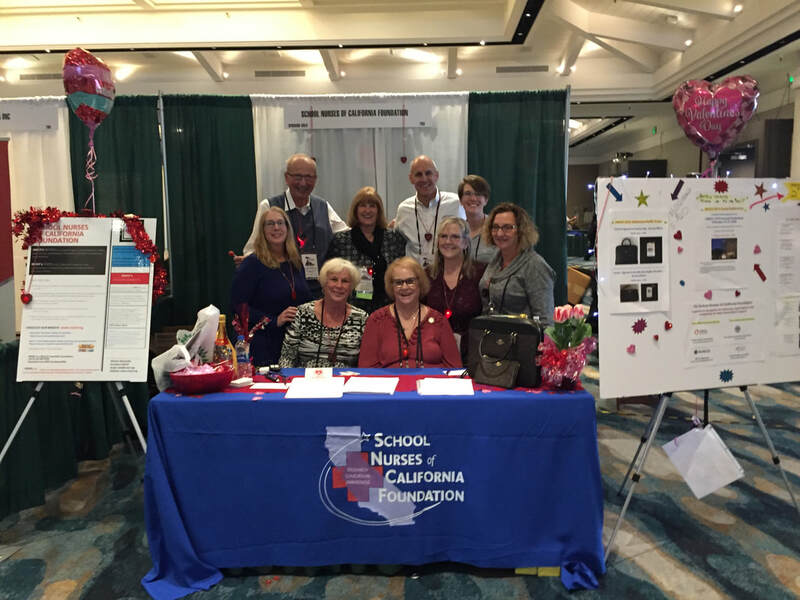 The School Nurses of California Foundation was honored at the 66th Annual CSNO Conference, Sunday February 7, 2016 in Fresno. 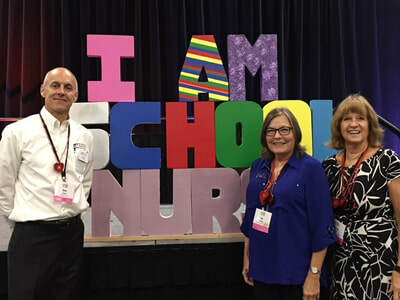 The "Above and Beyond Award" was accepted from CSNO's President Kathy Ryan by Diane Durando (SNOCF Vice-President), Nancy Dames (SNOCF Treasurer), and Katy Waugh (SNOCF Board Member).